A picture of beauty sits atop this garden finial in a blissful sleep that is simply enrapturing to see. 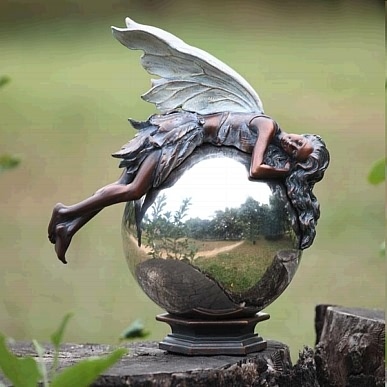 Created from resin, our little fairy figurine appears to be sleeping over the ball of this finial wanting to take a little rest from her daily watch over your garden. Hand finished in immaculate detail.